Designed in 1936, this American art deco silverplate service was used on the most famous of the DC-3 Aircraft, the American Airlines’ “Flagship”. This 24-piece service is comprised of eight forks, eight knives and eight spoons. 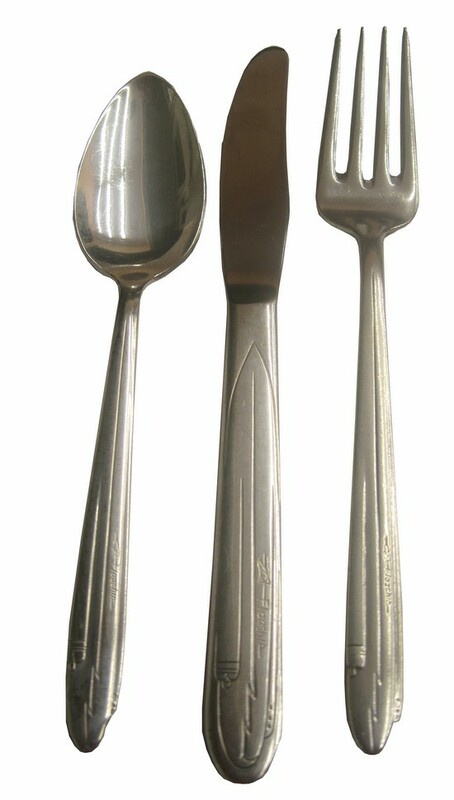 The utensils have handles in the shape of the aircraft with speed lines and impressed in a very streamlined font, “Flagship”.